In the case that we need reset iPad mini/iPad air/iPad pro without passcode, we can reset iPad from iTunes or iCloud for free, if we want reset iPad mini/iPad air/iPad pro without iTunes/iCloud, seek help from Eelphone iPhone Unlock, we can reset iPad without password just in several clicks. When we go to Settings>General>Reset, we can reset all settings/contents and setting/network settings/keyboard dictionary/home screen layout even reset location and privacy, but we need enter screen password or Apple ID password to confirm the reset. How can we reset iPad without password? We can reset iPad for free if we have iTunes and iCloud, we can also reset iPad without password. But why we want reset iPad? We considered and discussed together, for iPad owner, when we want delete all settings in iPad because of the system problem or because of the full storage of iPad. Reset iPad will remove all data in iPad, then we can get more storage space for iPad. 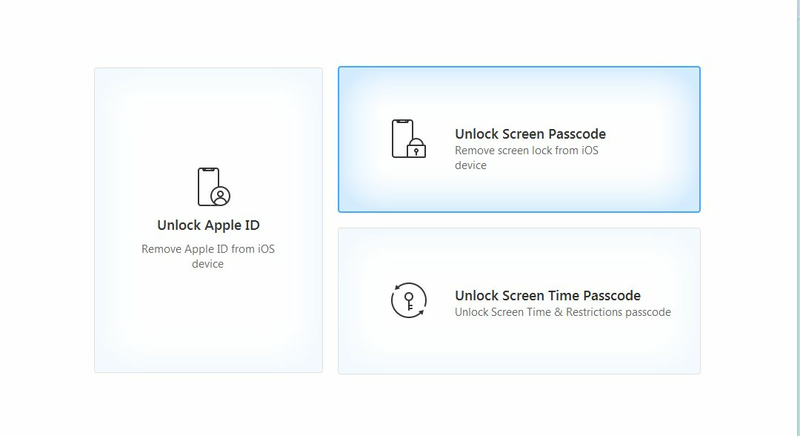 Or we no have iPad screen password or iPad Apple ID, we should reset iPad to remove screen password or Apple ID passcode, so that we can use iPad as usual. No matter what reason, we always have the path to reset iPad with ease. When we have iTunes, and we still know the iPad screen password, for we may need enter iPad screen password during the process of resetting iPad. And it's the best way to reset iPad without data loss, because we can restore from iTunes backup even after resetting of iPad. Step 1: Open your computer where you have sync your iPad to iTunes, launch the iTunes, and your iPad will sync automatically, but you may also need enter the iPad screen password to log in iTunes, that's why we have pointed out the own of screen passcode. Step 2: Tap on the iPad device you want reset, and click on Restore iPad to start reset your iPad. Just in two steps, we have reset Apple ID on iPad, don't forget to restore from backup after the process. When we no have computer in hand, and so hurry to reset iPad, turn to iCloud, log in iCloud.com in your iPhone or others' iDevice to reset iPad without computer. From the home page, we can get the Find My iPhone icon, just click on it without hesitation. 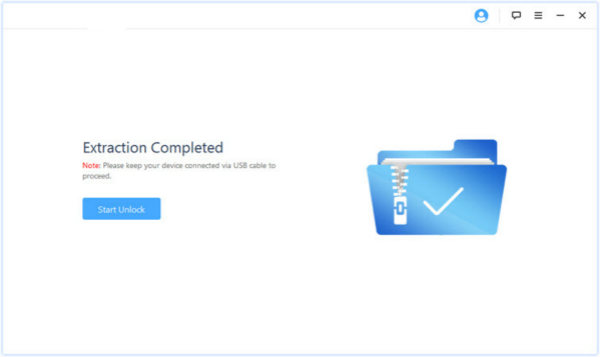 Step 2: From All Device, you can find your iPad device if you have synced iPad to iCloud. Step 3: Just tap on Erase iPad from your iPad device to reset your iPad. Note: We need enter Apple ID and Apple ID password to sign in iCloud, so you should have the Apple ID and Apple ID password, and also you have synced your iPad to iCloud you logged in. Same as part one, we can reset iPad for free and without data loss, because we can restore from iCloud backup afterwards. No have iTunes? No have iCloud? No have iPad screen password? 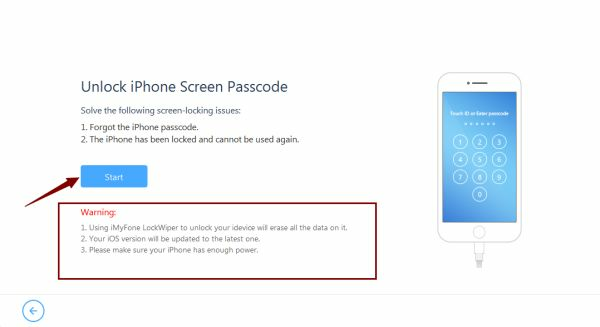 Only Eelphone iPhone Unlock can help us reset iPad without password.but we should get the notice start of all, we will loss all data in your iPad if you no have backup, so be sure the reset of iPad with this easy method. 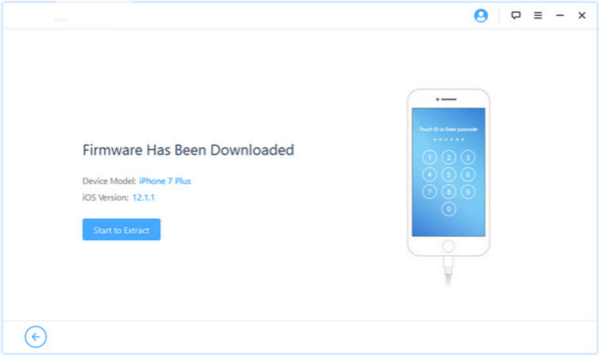 Step 1：Please feel free to download Eelphone iPhone Unlock in your Window or MAC, install it with the installation guide, and launch it once installed. From the home page you can see “ Unlock Apple ID ” and “ Unlock Screen Passcode ”, what we need is the second one, tap on it without hesitation. Step 2: From the next page, you can see the Warming, you should read it carefully before click on Start. 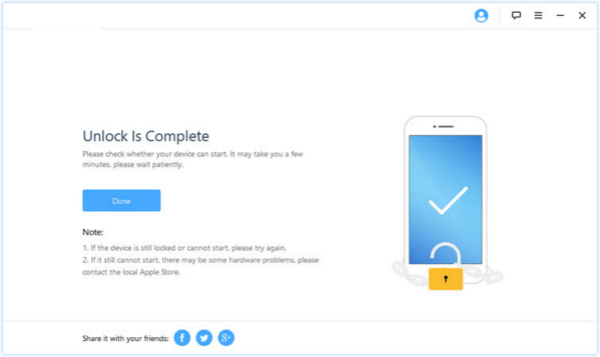 Step 3: Now we should connect our iPhone to computer, but we recommend to backup iPhone to computer before Start if possible. Once connected to computer, the tool will detect your iPhone, and confirm iPhone version and define the save path of the firmware package. If the iPhone version is wrong, you can change it manually, be sure the version is correct. 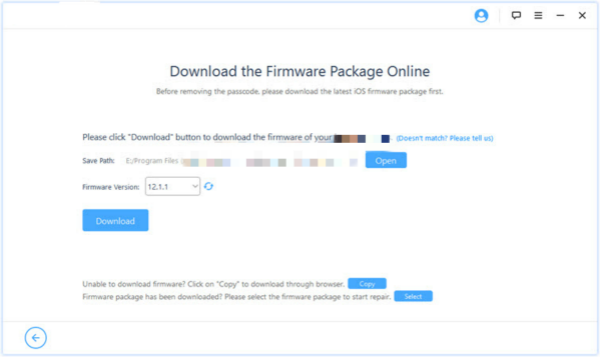 Click on Download to start download the firmware package automatically. It will take a few minutes to download the firmware package. Step 4: After the finish of downloading firmware package, click on Start to Extract to go on the process. Step 5: When the extraction completed, we can Start Unlock iPhone without password. But before the unlock, you should confirm one more time by enter “ 000000 ” to the box. What we should do is waiting, the tool is unlocking iPhone without password. In fact, unlock screen without passcode is also one way to reset iPad, because all data loss. But if you want erase all settings, you can go to Settings > General > Reset > Erase All Contents and Settings, but you may should enter Apple ID and Apple ID password, if you no have Apple ID and Apple ID password, you can get the detail from the article: Factory Reset iPad without passcode.